It was far from a perfect performance but Australia last night finally ended their longest-ever ODI losing streak with a tight win over South Africa in Adelaide. Australia entered this match having not just lost their past seven matches, but also having won only two of their previous 21 ODIs. Never before had the Australian cricket team plunged into such a form abyss in ODIs, which traditionally has been their strongest format. Despite winning four of the last five World Cups, Australia have become a laughing stock in ODIs in the wake of a prolonged sequence of rank performances. Shoddy batting displays have underpinned Australia’s swift slide down the ODI rankings and, despite ending their losing streak last night, they again struggled with the blade, making just 231 on a good batting pitch. Australia were saved by a spirited and skilful effort from their attack. The surprise star with the ball was again burly all-rounder Marcus Stoinis, who produced his second fine bowling performance of this series. After grabbing 3-16 in the first ODI, Stoinis turned the match last night with the key wicket of the destructive David Miller (51) amid of haul of 3-35 from ten overs. Stoinis was impressively precise, as were fellow seamers Josh Hazlewood (2-42 from ten overs) and Pat Cummins (1-27 from ten overs). Although less accurate than that trio, Mitchell Starc showed great signs last night, bowling with impressive rhythm which helped him reached consistently searing speeds. In his four-over spell with the new ball Starc’s average pace was a remarkable 152kmh, according to leading cricket analytics company Cricviz. That was the single fastest new ball spell of his ODI career. After struggling with injuries for almost 12 months now, Starc looked physically unencumbered for the first time in a long time last night. The best ODI bowler in the world when at his peak, Starc is the key to Australia’s hopes of performing strongly in next year’s World Cup. While Australia bowled with discipline, with the bat they stuttered each time they looked to be building momentum. Young opener Travis Head was trapped plumb LBW in the third over before veterans Aaron Finch and Shaun Marsh steadied the innings nicely, taking Australia to 1-66 in the 12th over. Marsh, in particular, looked in lovely touch, timing the ball beautifully. But overconfidence brought about his downfall as he attempted an extravagant drive on the up against Kagiso Rabada only to feed an edge to wicketkeeper Quinton de Kock on 22. With the typically-aggressive duo of Finch and Chris Lynn playing within themselves, Australia again looked to be righting the ship at 2-96 after 20 overs. Once more a wicket was gifted to the Proteas when Finch chopped on for 41 as he tried to dab cut a Dwaine Pretorius delivery which was too full and straight to allow such a stroke. The pattern continued as Lynn and ‘keeper Alex Carey guided Australia to a decent position at 3-133 in the 26th over before Lynn became the next batsman to waste a good start. After patiently playing himself in Lynn exploded, clattering Rabada for 6, 4, 4 and 4 off the first four deliveries of the quick’s over. Lynn then got carried away and tried to dispatch a sharp bouncer from Rabada, succeeding only in gloving it through to de Kock on 44. 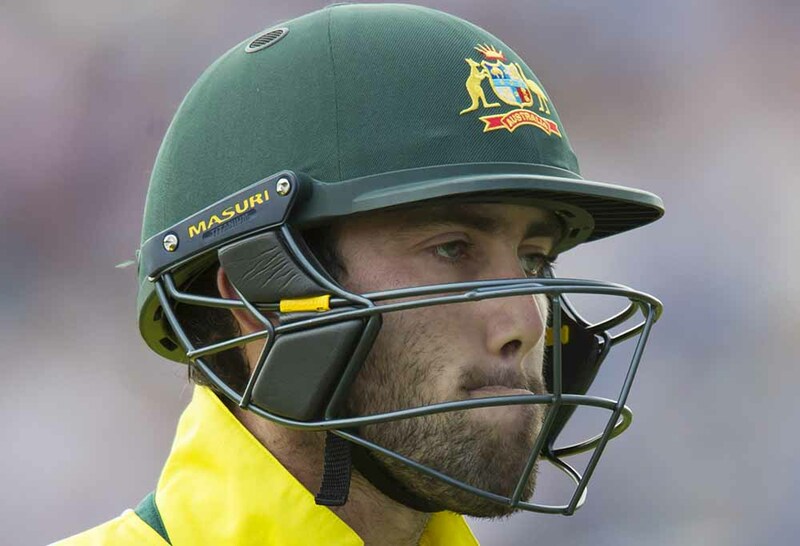 Then Carey and Glenn Maxwell both looked comfortable at the crease, moving the score to 4-166 in the 33rd over before the latter man became the latest Aussie to cough up his wicket in limp fashion. Maxwell, whose ODI form has become a serious concern for Australia, played a half-hearted cut shot at a wide, short delivery from Pretorius to give de Kock another catch. Medium pacer Pretorius looks innocuous at first glance. But he did a fine job for South Africa yesterday, maintaining a tight line and length en route to figures of 3-32 from ten overs. Only a patient knock of 47 from 72 balls by Carey and some late strikes from Adam Zampa (22) allowed Australia to edge to what looked to be a well-below-par total of 231. In holding on for a tight win Australia not only banished a few demons but also set up this three-match series for a tantalising decider at Hobart on Sunday.